Do you remember the first time? I bet you do. Maybe it was the first time you sketched a picture, and the pencil seemed to have a will, a life, of its own as the lines multiplied, took shape, forming a likeness of something you never realized you could duplicate. 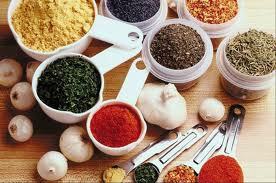 Maybe it was the first time you blended ingredients, without a recipe, experimenting, modifying, taste-testing, never having done anything quite like this before, but knowing, somehow, that the result would turn out delicious in the end. Maybe it was the first time you aimed a camera, wanting desperately to capture the sunset or the butterfly resting, briefly, on the rough bark of your fencepost, or the city skyline on a clear, crisp autumn afternoon. You snapped the photo, enjoying the moment, a hunger to reconstruct a sliver of reality at just the right angle, in just the right lighting. I happen to be a writer, and I remember my first time, too . . . I was in the second grade. It was fall in upstate New York, the trees showing off with their reds and golds and burnt pumpkin oranges. “Like a bowl of fruit loops,” my grandfather liked to say. And the teacher, a young woman named Mrs. Mueller, tasked us with an assignment. “I want you to write about something,” she said, and I can still recall the enthusiasm in her voice. “About anything you want. It can be about your bicycle or your cat or your mom or your sister. Anything! The only requirement is that it needs to be at least a full page in length.” At this news. a collective gasp rose from the throng of second-graders. A whole page? 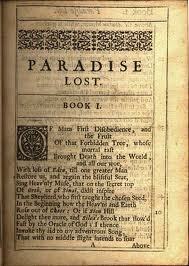 To the seven-year-olds in the room that October day, Mrs. Mueller might as well have asked us to write an epic poem on par with Paradise Lost. But for some reason, the assignment didn’t intimidate me. 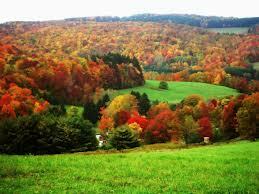 Perhaps I was spurred on by the dreamy fall landscape, the woods and fields caramelized after the long, hot summer. But that night, in my room, I sat on my bed, using one of my father’s old hard-back books as a support for the sheets of loose paper I had ripped out of my notebook, and wrote my first short story. The thing was? It did not end up a single page in length. When I finished, I had written a four-page story. I called it “The Magic Key,” about a boy and his friend who discover, well, a magic key in an abandoned house on the edge of town. The house, reputed to be haunted, is full of cobwebs and creaky, ancient doors that groan when opened. The boys venture into the house on a dare, and when they find and take the key, they soon realize it can unlock portals to places they never knew existed–places where caterpillars talked and beagles soared on dark brown wings, and where, if you wanted something badly enough, if you wished with all your might, you would receive whatever you asked for. Today, looking back at “The Magic Key,” I realize the story is laughable. Events just happen, one after the other, as the plot careens wildly out of control. Events and developments that would normally require entire chapters occur in a single paragraph. But none of that mattered then, nor does it now. “The Magic Key” will always hold a special place for me. When I read it, I remember myself at seven years old having a ball, creating something out of nothing, letting the story tell itself. 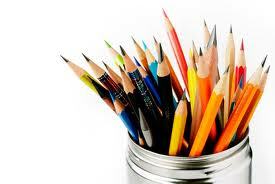 I remember the high I felt as the ideas poured in so fast and so loud, my pencil could scarcely keep up. I remember feeling like I could burst, the thoughts and feelings and words needing to come out, onto the page. They were no good if they remained locked inside, faces without names, skeletons without muscle and tissue and skin. And when I was finished, when I triumphantly scribbled, “The End,” in bold strokes on the bottom of page 4, I felt on top of the world. On top of the universe. There was a sense of accomplishment, of expressing myself in a form that just felt right. From that day on, I was hooked. I wanted to be a writer. I remember one night, when I was in college, I dug out that old story and read it. I winced. It was awful. Mrs. Mueller’s complimentary remarks now seemed a taunt, a mock, a cruel joke. But then I read the story again, and this time I smiled, laughed even. And I traveled back in my mind, to that day, years earlier, when the words came, unasked for, and the story wrote itself in a barrage of sentences and ideas that gushed out of me like a geyser. I remembered how, as I wrote that old story, I wasn’t concerned with how good it was, or how it would be received, or how it might be critiqued. I just created it. Better yet, I let the story create itself, and I got out of the way. It was a reminder of sorts, knee-deep as I was in critical essays on Dickens and Shakespeare and Hemingway, analyzing literature from the inside out, studying symbolism and point of view and theme and character. Somehow, it seemed, the fun had been taken out of writing. It’s still something I struggle with from time to time. There are days when I try to write, and nothing comes because I’m being too analytical, too worried about the merits of what I’m creating instead of simply creating. In The Eye-Dancers, Mitchell Brant certainly knows all about being self-conscious. Insecure, too often worrying that he doesn’t measure up, he invents stories about himself, trying to appear as “more” than he really is. When he meets Heather, a girl who becomes his friend in the variant town of Colbyville, she tells him he should just be himself, that he doesn’t need to pretend. He’s good enough the way he is. He wants to believe this. He tries to grasp on to it. He longs to believe in the dream, in the possibility–that he can, ultimately, be anything he wants to be. 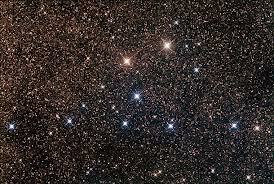 “He looked up, at the infinite black canvas of the sky, at the stars, which shimmered like precious jewels. She had said that maybe our dreams lived up there, among those stars. All we needed to do was believe. And remember. That’s the kind of feeling I had, all those years ago, when I wrote my first story in the second grade. 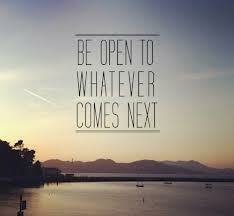 That’s the kind of feeling I believe we all share when we allow ourselves the freedom to do what we love without worrying about the end results. Yes. There is a time and a place to look at your results. There is a time when the red editing pen must come out and the cold, analytical process of revision must trump the hot, volcanic flurry of creation. But when I approach the blank page, when I am about to begin a new story or a new scene or a new chapter, I try to remember that assignment from the second grade. We all have, I think, our own personal “magic key,” if you will–something we can look back on and remind us where we started, what we love, and why we do what we do. On October 25, 1986, the Boston Red Sox played the New York Mets in the old Shea Stadium in New York for Game 6 of the World Series. The Red Sox, without a championship since 1918, and trying to overcome years of “almost-but-not-quite” futility, along with the legendary “Curse of the Bambino” (referring to their trading away of Babe Ruth to the New York Yankees after the 1919 season), were on the brink of winning it all. They were up, 3 games to 2, in the series. An upset was in the making. The Red Sox were a good team in 1986, but the Mets had just completed their best regular season in franchise history, winning 108 games. But that didn’t matter now. If they lost either of the next two games, they would finish in second place, and the Boston Red Sox would be world champions for 1986. I remember Game 6 of that Series very well. It was a crisp, autumnal Saturday night, and I had already finished my homework for the weekend. I didn’t want anything to get in the way of the big game. 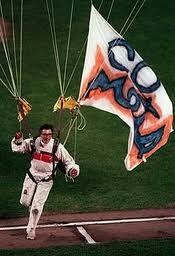 Fourteen years old and a freshman in high school that fall of 1986, I was a die-hard Mets fan. 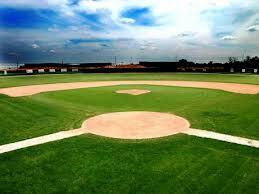 I watched most of their games, from spring training on, and knew the team inside out. That night, I wanted to watch the game alone, out in the family room of the home I grew up in, the home where, to this day, my parents still live. I popped some popcorn, extra butter, of course, and settled in. Shea Stadium was rocking–the atmosphere was electric. 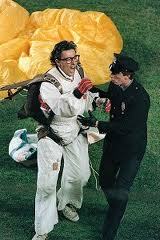 Adding to the madhouse of the stadium that night, a parachutist swooped down into the field of play in the top of the first inning. When security escorted him off the field, he led the crowd in a chant of “Let’s go, Mets, let’s go, Mets!” Watching on television, I could feel the energy streaming through the set, as if by magic. The Red Sox forged a 2–0 lead in the early innings, and for a while, that looked like all the runs they would need. Twenty-four-year-old fireballer Roger Clemens was on the mound, the best pitcher in the league in 1986. Through four innings, the Mets could not generate a single base hit off him. But in the fifth inning, they scratched and clawed, tying the game at 2 apiece. In the 7th, the Sox took a 3–2 lead, but the Mets tied the game at 3 an inning later. Ultimately, the game would go into extra innings. In the top of the 10th, it looked as if the Red Sox would finally get over the hump and win their first World Series since World War I. They scored two runs, taking a 5–3 lead into the bottom half of the inning. The Mets needed to score two runs to tie, three to win, or else their season would be over. Their first two batters failed to deliver. Two quick outs, and nobody on base. The Red Sox were now one out, one out, away from the championship. In the Sox dugout, players yelled out to the field, taunting the Mets and their fans. The champagne was ready in the clubhouse, the celebration about to begin, sixty-eight long years of frustration about to be overcome and victory realized. But then a funny thing happened. Gary Carter, the Mets catcher, singled to left field. Then pinch-hitter Kevin Mitchell singled to center. 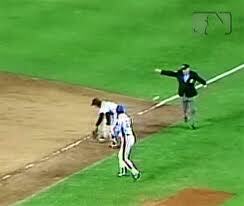 And then Ray Knight, the third baseman, singled to center, too, driving in Carter. Suddenly, it was 5–4, with runners on first and third. The Sox still needed just that last out, but now it was getting tight, the tension filtering throughout Shea Stadium like a living, breathing, tentacled thing. The taunting ceased. The champagne remained uncorked backstage. Red Sox manager John McNamara changed pitchers, hoping that would douse the fire. 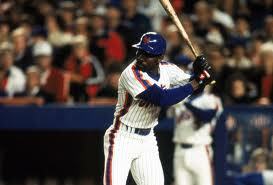 And Mookie Wilson, a Shea Stadium fan favorite, stepped up to the plate. Vin Scully, the masterful play-by-play announcer, rightfully described that tenth inning for the ages as “delirious.” But the craziness had, remarkably, only just begun. Wilson fell behind in the count, and the Red Sox were one strike away from the championship. But Mookie battled, fouling off several tough pitches. Finally, pitcher Bob Stanley delivered a wild pitch that got past the catcher, allowing the tying run from third base to score. Now it was 5–5. But the Mets weren’t finished. Three pitches later, Wilson hit a ground ball to first base. Watching the game, in Rochester, three hundred and fifty miles to the west of Shea Stadium that night, I was sure the inning was about to end, and it would be 5–5 to start the 11th. That’s not how it happened. The ball took a tricky hop and skipped underneath Red Sox first baseman Bill Buckner’s glove. Ray Knight, who had delivered the clutch single just a few minutes ago, scored on the play, and the Mets, miraculously, had come through. From two runs down, two outs and nobody on base in the bottom of the 10th inning, they had found a way to win. They would come back to win Game 7 as well, taking the series. Sox fans would need to wait another eighteen years for The Curse of the Bambino to finally end. 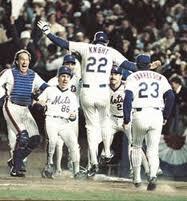 But even as a Mets fan that Saturday night, twenty-seven Octobers ago, I felt bad for Bill Buckner. Then thirty-six years old, Buckner had enjoyed a long and distinguished career. And he was a key player for the 1986 Red Sox, driving in more than 100 runs that year. But almost overnight, he became Public Enemy Number One in Boston. Unfairly singled out as the scapegoat for the Series loss, he even received death threats from disgruntled fans. When the 1987 season opened, he was booed mercilessly by the home crowd. The Red Sox released him halfway through the season. 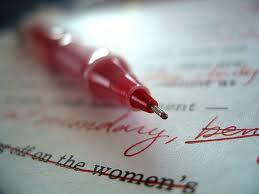 No piece of writing is perfect. The greatest short stories and essays and novels all have mistakes in them, somewhere–a paragraph here that perhaps could have been sharper, more emotionally engaging, a scene there that doesn’t quite hold up to the brilliance that surrounds it. There is no such thing as literary perfection. But if the story as a whole captivates us; if the writing, in its entirety, enthralls us; if the overall excellence of the piece fills us with a kind of wonder, then we are quick to overlook any small errors or less-than-inspired sentences that seep through every now and again. After all, what’s the big deal if the writer fails to wow us on page 107, if he or she takes our breath away for the remainder of the story? But if an otherwise great story ends poorly? If you enjoy the first 350 pages, but then, as you read the last chapter, you shake your head and feel an urge to toss the book straight into the hearth fire? This will leave its mark. It may even negate the richness and excellence of the first 99% of the story. While readers can easily overlook a mediocre chapter 6, we are not so ready, or able, to forgive an ending that shatters the very foundation the author has spent so many pages to construct. Or, to put it another way, if Bill Buckner had made his error on a nondescript Monday night in late May, in front of a half-empty stadium somewhere in the Midwest, nobody would have remembered for long. But allow the winning run to score in extra innings of the World Series, ruining your team’s chance to win its first championship in seventy years? That will be remembered . 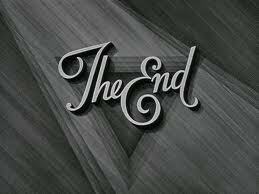 . .
Before I even began writing The Eye-Dancers, I had an ending in mind. But as I delved in deeper, finishing chapter after chapter, the nature of the ending shifted, taking on different colors, different nuances. I worried about it. I stressed over it. I rewrote the Epilogue, or portions of it, truly, dozens of times. I had spent so much effort, so much time, writing the novel as a whole. I didn’t want to toss it all away in the end. I hope I didn’t. 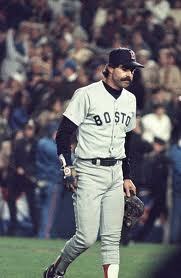 As a footnote, it should be pointed out that when Bill Buckner was re-signed by the Red Sox in 1990, he received a standing ovation from the Boston fans upon his return. 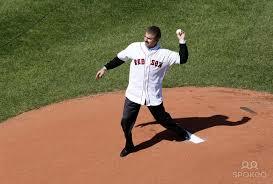 And in 2008, after the Sox had since twice won that elusive World Series title, he threw out the first pitch for the home opener at Boston’s Fenway Park. He received a four-minute standing ovation from the sellout crowd. 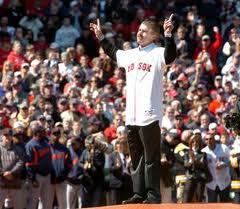 So, when it was all said and done, Bill Buckner’s Red Sox story had a pretty good ending, after all. One of the truly nice things about publishing The Eye-Dancers and maintaining this blog has been the opportunity to meet so many great people around the world. One such person I’ve had the privilege to communicate with and get to know is Janice Spina. Janice is a book reviewer, author, and cofounder of a fantastic new website called PIA (Published Indie Authors). I highly encourage you to check the site out, as well as her blog, jemsbooks. I had the opportunity to interview Janice recently about her new children’s book, Louey the Lazy Elephant, her approach to writing, and more. So, without further delay, I hope you enjoy the interview! Thank you, Mike, for having me on your blog. I am very excited to be here and to answer your questions and share my book and my goals with you and your readers. 1. 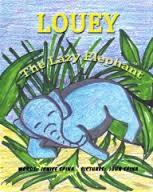 You have a new children’s book that you have recently published–Louey the Lazy Elephant. Please tell us a little bit about this! Louey is a cute little elephant who is a lazy fellow. One day he oversleeps and finds that he is all alone because the herd has moved on without him. He is sad and very lonely and determined to find his family and friends. But I won’t tell you what happens–it would ruin the mystery. I guess you and your readers will just have to pick up a copy and take little Louey home with you. You would make Louey very happy! 2. What motivated you to write Louey? Was there something specific, or was it something you’ve wanted to do for a long time? I come up with poetry in my head all the time and really there is no rhyme (sorry for the pun) or reason for some of it. The story just swam around in my head and I had to write it down. I used to visit the zoo with my parents as a young child and I was always amazed at the care the elephants gave to their young that mirrored how humans care for their children. Besides, I have always loved elephants and thought that this animal would be a likeable fellow for children to read about. My husband and I have many, many elephant knickknacks all over our house. Did you know that the trunk up on an elephant means good luck? 3. Did the process of publishing a children’s book go the way you thought it would? Were some aspects easier than you envisioned? More difficult? It has been a rough road getting published since I have done it myself by self-publishing. I have learned a lot about publishing and downloading my material, illustrations, bleed, and templates, to say the least. My husband is my illustrator, and he and I worked together to get the material ready for download. It didn’t help much that we knew nothing at all about doing this and even had to learn how to use Photo Shop to enhance the illustrations. The hardest part of this process was the downloading and assuring that we had the right size for the illustrations and that they were within the trim so nothing would be cut off. We downloaded many times. I am embarrassed to say how many! The book cover was very difficult to do, too. But the next time it should be a lot easier since we are both more educated in the process. We both have a lot more gray hairs now, though! The easiest part was . . . I haven’t found that yet, but maybe just reading the finished product. I felt relief and accomplishment after completing the book. 4. 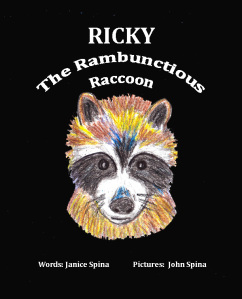 I saw on your website that you are working on another children’s book–Ricky the Rambunctious Raccoon. Can you tell us a bit about that book, and how it relates to Louey? Ricky is a fine little fellow, cute as can be. My husband has made him just adorable. Kids are going to love him! I do! Ricky gets into all kinds of trouble when he goes out to forage one night. He is a friendly sort of raccoon and curious at the same time. I think children will enjoy reading about his crazy adventures. This book is also in rhyme. I try to do all my books for children in rhyme. Ricky is not in any way connected to Louey except maybe they could be friends if they knew each other. I will let you know when Ricky is available and has met Louey and if they like each other. 5. What are some of your favorite children’s books? Did you have any particular favorites when you were a child? I am really dating myself when I say this. I loved the Mouseketeers and Annette Funicello. I read everything I could get my hands on about her and Cubby. I loved fairy tales, especially “Hansel and Gretel,” which scared me out of my mind but made me appreciate my parents even more because of their love and caring ways. I always felt safe, not like the fairy tale. LOL! I read Nancy Drew and even The Hardy Boys later on. I had a complete set of books about space exploration and the astronauts during the 1960s during the Kennedy era. I even made two scrapbooks many years later about the assassination of the Kennedy brothers. Their deaths had affected me so profoundly that I was inspired to make the scrapbooks as mementos of their legacies. 6. Have you always known you wanted to be a writer, ever since a very young age? Or is it something that evolved, slowly, over time? I have always loved writing poetry. The singsong sound of the rhyming is a panacea for my soul. Did I just say that? I don’t usually speak like that. I have no idea where that came from! Well, I do love rhyming, and that is how I started writing. I wrote poems in the form of greeting cards for my mother. She just loved them! Having her praise made me feel good about myself, so I wrote more. I was a very shy little girl, and writing was one way I could express myself. 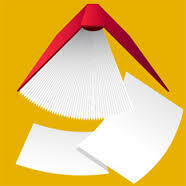 Today I have a large collection of poems but only the new ones . . . since the old ones I wrote my mom got thrown away in moving from place to place. I also wrote for my high school newspaper in the form of silly poems. I then graduated to children’s stories in my twenties and then novels in my fifties. 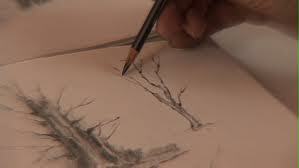 There was a large span of time when I did not write anything. I was too busy raising a family and working. I got inspired when I was in my fifties after reading an emotionally inspiring book, The Secret. This book got my creative juices flowing big-time! I couldn’t stop writing poetry, and shortly thereafter submitted a sports poem to The Lawrence Eagle Tribune newspaper and got chosen as the first Boston Red Sox Fan of the Day. I made the front page, much to my surprise! The article included an interview with me, #1 Red Sox Fan, and my poem was published there. It was a very exciting day! It got the bug in me to write more and to get back to my novels and children’s books. Now I am retired and have more time, but it is filled to bursting with all kinds of social media, marketing my book, blogging, editing others’ work, and finally writing my books. Whew! I am tired just writing about everything I do. 7. I read on your website that you are in the process of writing four (!) novels. That is remarkable. How do you juggle all those writing projects at once? Like I mentioned above, I wrote over many years in spurts. At one point I wrote two novels simultaneously–a murder mystery and a YA fantasy. I am still editing both of them endlessly. The murder mystery is almost ready for publishing. I just need to tweak it a little more. One romance/mystery/spiritual novel is still in the outline stage, but I plan to work on that one after I finish the other two. 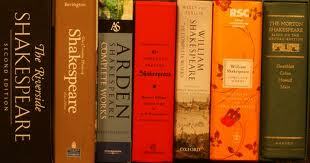 The fourth one is a historical novel, which may never see the light of day. It was just one I wrote in memory of my grandmother who lived to be 100. It is too close to the memory of Avoa (“grandmother” in Portuguese) to share it with anyone. I may change my mind one day. I need to complete one project before going to another, and that is why I have so many projects out there that aren’t complete. Since there are so many stories and ideas in my head, I feel the need to write them down before I forget them. I am a very organized person who likes to finish my projects, but I spend a lot of time now helping other new authors and marketing my children’s book. I am getting better at filtering the social media and will devote more of my time to my novels. I promise to get one out before the end of the year. I am also involved in a new site, PIA, Published Indie Authors. I cofounded this site with a very talented author, Paul G. Day. It has been very exciting taking on this new venture. Here is the link if anyone wants to peruse the site. They will not be disappointed. It is a wonderfully supportive, educational, and worthwhile site for all indie authors. 8. 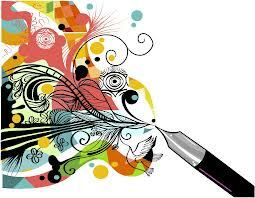 If you could give just one piece of advice to a new, aspiring writer, what would it be? Do your research about social media and how to market your work. I took the advice of an illustrator friend of mine when she told me to get myself out there on social media links right away, before publishing my material. I did just that over eight months ago and I got into FB, TW, LI, Pinterest, and Google+ and set up my own blog and website. I am not saying any of this is going to be easy, but it is necessary to get started. I am still doing it all trial and error, with many errors but having the time of my life. Also, you must visit other blogs and websites and leave messages about their blogs and thank them for connecting with yours. 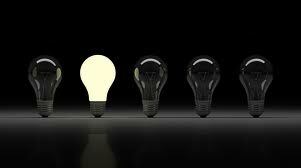 The more you do this, the more followers and readers you will attain. It is also a wonderful feeling to connect with so many people all over the world that you wouldn’t meet otherwise. But most of all, have fun and keep writing and editing your work until you have created the best book, novel, or illustration, etc. before publishing. 9. Where can readers find and purchase Louey online? Louey is available as a printed book on Create Space and Amazon, as well as an e-book on Amazon. Thank you so much, Mike, for this interview. I thoroughly enjoyed myself. Thank you, Janice, for a great interview! And thank you to everyone for reading! 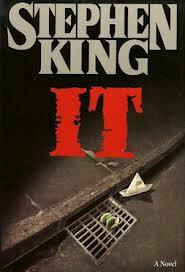 In the novel It, by Stephen King, there is a scene I have always enjoyed. It’s actually a flashback sequence, where Ben Hanscombe, one of the “Losers Club,” volunteers to stay after school on a cold January day–the first day back to class after Christmas vacation. He is helping his teacher, Mrs. Douglas, count the books that had been turned in just before the holiday. The task takes quite a while, and after they put the books away in the storage room, Ben realizes that the school has all but emptied out, the only sounds the clanking of the radiators and the whoosh-whoosh of old Mr. Fazio the janitor’s broom as he sweeps up and down the corridors. Mrs. Douglas apologizes, saying she’s kept Ben too late. Dusk is descending, the last flickers of daylight bleeding away into the rapidly approaching winter evening. She tells him that, if she drove, she’d give him a ride home, but she doesn’t. Her husband will stop by a bit later to pick her up. If Ben were willing to wait . . . But he tells her not to worry. It’s still light enough, and he’ll walk right home. And yet . . . and yet–there is something about the day, the faint, cold lighting of a winter dusk in northern New England. Ben feels alone, as if something is about to happen. Something bad. The scene creates a mood, preparing the reader for what follows. Would the scene have worked even without Mr. Fazio and his broom and his dust? Of course. The tone had been set, the mood established. But the janitor, even with just a single line of dialogue, enhances what is already there. He is one of those bit characters, so minor he shuffles off the page after a moment, an eye-blink, but whose presence, no matter how brief, adds something worthwhile to the story. The thing is, characters like this–little strands of string and twine that add nuance and texture to a scene–often are not thought of ahead of time. In this case, especially knowing that Stephen King (as he shares in his memoir, On Writing) does not generally plot his novels in advance, I certainly picture old Mr. Fazio suddenly appearing, unplanned, unasked, out of the periphery of King’s imagination. I could be wrong about that. Maybe before he sat down to write this scene, King knew the janitor would be a part of it. But I suspect this is not the case. I would venture to guess that, as he wrote the scene, as it unfolded on the page, Mr. Fazio simply decided to appear, as if through a will, a desire, of his own. I guess this in part because it has happened to me countless times during the creative process. 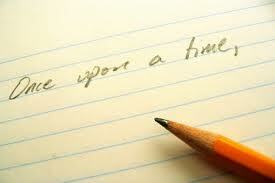 I begin writing a short story, or a chapter in a novel, and, before I know it, someone, well . . . just shows up. When I wrote The Eye-Dancers, this happened several times, perhaps best illustrated in chapter 4. 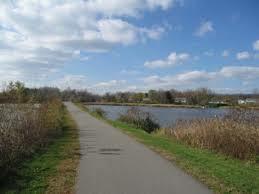 In this chapter, the four main characters are sitting alongside The Erie Canal, talking about the threat of the “ghost girl” in their shared dreams and what to do about her. Before I tackled this sequence, the only thing I had to go on was just that–that the boys would be sitting there, pedestrians and bicyclists constantly passing by on the canalside recreational path behind them. What I did not envision was what occurred on the very first page of the chapter. As they talk, a little boy in a farmhouse across the canal comes outside, in his backyard, smiles at them, and begins to toss a baseball to himself. He offers very little to the story in any substantive way, but he does attract the boys’ attention, and serves as a sort of catalyst to the conversation they are having, and to the scene as a whole. Would chapter 4 be shorter without the nameless boy’s presence? Probably. Would it be better? I suppose that can be debated either way. But once the first draft of The Eye-Dancers was finished, and I went to work on the rewrite, examining the flurries and inspirations of the initial draft with a more objective and critical editorial eye, I thought the farm boy added to the canal scene–and so he stayed. After all, he was the one who announced himself upon the scene, not me. I didn’t even know he existed until he showed up. I had no concept of him, no idea he would barge onto the stage, as it were, like a bold, uninvited actor determined to win a role. Maybe when things like that happen, they represent our subconscious telling us that something is needed to flesh out a scene, something we never would have thought of in advance. Or maybe they come from our muse, gifting us with a discovery, a missing piece to the fabric of our story. Maybe they’re just blind chance. Whatever they are, these unforeseen character appearances strike me as very intuitive, and very organic within the creative process. As such, we as writers, as creators, need to listen very carefully when they come calling. So the next time someone like old Mr. Fazio crashes the party created by your imagination as you type feverishly at your keyboard, perhaps you can pause, take a moment to enjoy the mystery and wonder of the creative process. Where did that character come from? They just . . . appeared, on their own. Or, to paraphrase one of the most memorable lines in motion picture history . . . 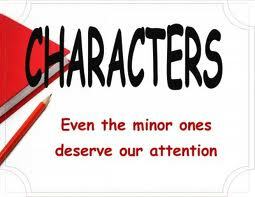 There are many occasions in The Eye-Dancers where one of the main characters feels bad after doing or saying something. Joe is impetuous, and too often acts without first thinking things through. Mitchell, with his penchant for lying and storytelling, sometimes feels a pang of guilt after one of his tall tales. Ryan second-guesses himself with regularity, always wanting to please people, never wanting to anger or provoke them. And Marc too often puts people down, without even intending to. He is, in a nutshell, a know-it-all, and sometimes, as Mitchell himself reminds him at one point in the novel, his horse gets pretty high sometimes. The main character in the short story “Tailgater,” which I wrote just as I was beginning the first draft of The Eye-Dancers, also experiences a crisis of conscience, an onslaught of guilt . . . I hope you will read the story and see how he deals with his predicament. As Paul gripped the steering wheel, cruising down the Thruway at seventy miles per hour, he wondered if he should have gift-wrapped the stolen ring. But in his haste, his eagerness, his second-guessing, he had simply pocketed it, hoping his co-workers and customers would not find guilt etched on his face like a brand. Besides, who had the time? His shift had ended at eight thirty, and he wanted to reach Tammie by eleven, at the latest. That thought prompted him to push down harder on the gas pedal—and the car sped up to seventy-five. It still didn’t feel fast enough. He’d jack it up to a hundred if he thought he could get away with it. It was tempting, too. There weren’t many motorists out tonight, and he hadn’t spotted a trooper since getting on the Thruway a half hour ago. “Go for it,” he said over the radio. Someone on NPR was talking about the effects of global warming. Paul chuckled over that. It had been well below freezing for two weeks now, since before Thanksgiving. He glanced in his rearview mirror, checking for a rogue state trooper. 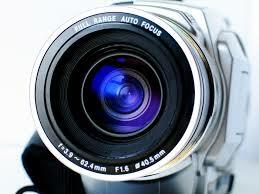 A pair of blue, halogen headlights were reflected there, and he had to look away. Where had that car come from? Just a moment ago, no one had been anywhere near him, and yet, suddenly, out of thin air, it seemed, he was being tailgated. And the creep had his lights set on high beam, too. Paul gritted his teeth. Few things annoyed him more than tailgaters. As far as Paul could tell, no other cars were around. Why on earth was he being tailgated, then? All the guy had to do was move over into the other lane and speed ahead. He seemed intent on deliberately giving Paul a hard time. “You asked for it,” Paul said, and gently braked. He slowed down to seventy, sixty-five, sixty, fifty-five . . . Still the vehicle behind him stuck, as if the driver wanted to touch license plates. Beads of perspiration formed on his forehead, and his temples started to throb. He didn’t need this. Not now. Not tonight. Not after what he’d done. Suddenly, he gunned it, and he zoomed ahead, leaving the tailgater far behind. He was going ninety now, but how could he be blamed for that? The jerk behind him had forced his hand—or foot, as the case may be. Glancing in the rearview mirror, he spotted the blue headlights, at least a hundred yards back. Still no other traffic in sight. He took his right hand off the steering wheel and reached into his pocket, feeling for the ring, checking that it was still there. It was—of course it was—and it felt hot to the touch, though the band was cold. Looking around, at the dead cornfields illuminated by the moon-glow, at the scattered farmhouses with their trusty porch lights on, at the grain silos that loomed in the darkness like sleeping monoliths, he felt small and alone. The events at the restaurant seemed almost dreamlike, and he wondered if perhaps he might wake up in a moment, his bedsheets wrapped tightly around him, the drone of the clock ticking off the slow seconds of the night. But no. This was no dream. It was real. All too real. He had never stolen anything before . . . at least not anything of value. He had swiped a few stray pens and pencils—even a five dollar bill once—but nothing remotely like this. It hadn’t been premeditated. He didn’t even know the ring existed until just a few short hours ago, when he saw the woman at his table fiddling with it. She was eating alone, which was peculiar in itself . . . she was young, attractive, and very clearly affluent. Her outfit—black Piazza Sempione jacket, red silk blouse, black velvet trousers—probably cost more than his entire wardrobe put together. And she had ordered the most expensive bottle of wine to go with her meal. At first, Paul was merely hoping for a generous tip. She seemed like the kind of woman who might reward good service. But as he repeatedly made the rounds to her table, asking her how she was enjoying her food (“It’s very good, thanks,” she said more than once), he couldn’t help but notice the way she absently played with her ring. It wasn’t an engagement ring, at least he didn’t think it was. 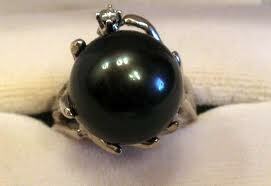 It had a white gold band, with a black pearl set on top, wrapped in a swirl of diamonds that glittered in the lighting of the restaurant. He had no idea what the price of the ring might be, though it was clear it hadn’t come cheap. A thousand dollars, perhaps? Two thousand? Three? Way too much, in any event, to be fiddling around with it—taking it off and twirling it between thumb and forefinger—as this woman was doing. It made him think of Tammie—beautiful, kind, big-hearted Tammie who lived paycheck to paycheck, working overtime at the factory every other week just to make ends meet. She was the best thing that had ever happened to him. He’d met her six months ago. She was visiting old friends in Rochester, and they had come into the restaurant. He waited their table. He hadn’t openly flirted with Tammie that evening, nor she with him. But there was something between them, something so charged he thought he’d be electrocuted if he could reach out and touch it. He had never believed in love at first sight, but how else to explain it? He could tell she wasn’t at home in the restaurant . 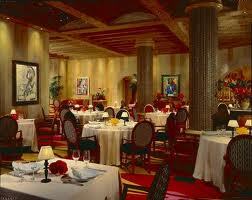 . . where the food was pricey and the clientele white-collar, bordering on snobbish. Later, she told him her friends insisted on taking her there, though she would have preferred a local diner or pizzeria. Paul chuckled at the memory. But only for a moment. It made him sad, bitter even, that she didn’t own anything special, no diamond ring or gold necklace. It wasn’t fair. She deserved it. She deserved so much more. . . . He went up to the woman’s table. The remains of her meal were heaped on the dinner plate, her glass of wine nearly empty. “Are you all set, ma’am?” he asked. She smiled, nodded; he took her plate and left the bill with her. He noticed she wasn’t wearing the pearl ring. What had she done with it? Put it in her mouth, just for kicks? A moment later, he had his answer. Amid the uneaten morsels of food, he spotted it. Just lying there. He laughed, picked it out of the leftovers, and prepared to return it. Then he hesitated. He again thought of Tammie. Christmas was in two weeks, and he had only bought her a cheap book he’d found on sale, a scarf, and a pair of red mittens. It made him ill that he couldn’t buy her something nice, but his landlord had raised the rent last month, and Paul was scrimping as much as possible. He’d been planning to move to Syracuse sometime next year, anyway, to live closer to Tammie. The increased rent served only as an incentive to get out sooner rather than later. His head was suddenly full of scenarios, justifications, rebukes, pros and cons. Should he give the ring back to the woman? Yes. Of course. What other path was there, really? Maybe he could keep the ring. Just sort of slip it into his pocket, while no one was looking. Who would ever know? And then he could give it to Tammie. Surprise her with it tonight, after his shift. Why wait until Christmas? He wanted to see her face when she beheld the ring—the shine in her eyes, the exuberance of her smile. All because of him, his gift that would make her feel special and adored. He couldn’t wait two weeks. Besides, if he waited, he might chicken out and give the ring back to its owner. And why should he do a thing like that? She didn’t even care about it. She probably had dozens just like it back at the mansion or townhouse or lakeside bungalow she called home. What was it to her? He returned to her table, the ring in his pants pocket, his cheeks feeling hot. Before he answered, he wondered if she had stuck the ring in her leftovers on purpose, to see what he would do, to test him. Would he try to steal it? Or be a good, honest waiter and give it back to her? Was this all a setup? Behind him, he felt a rush of air. Nicole, a new waitress they had just hired yesterday, hurried past, balancing three plates and smiling as she approached her customers. He overheard her telling them to flag her down if they needed anything. Striving for the tip. That’s what it was all about. Just like Tammie, working those sixty-hour weeks at the plant. Trying to stay afloat, hoping to get by. A shadow fell over the woman’s face, and he almost caved in then. Maybe he had it all wrong. Maybe she did care about the ring. Maybe it had been a gift, from a boyfriend or a relative. Maybe she was just upset tonight about something, her mind elsewhere, and that was why she had been so careless with it. Maybe. Or maybe he was just conjuring up abstract potentialities that likely didn’t exist. She sighed, swore under her breath, shook her head. “Well, if you do see it, please give my cell a call, okay?” She jotted down her number on a napkin, and handed it to him. “Sure thing,” he said, smiling. She gave him a long, hard look. It felt like she was searching his conscience, attempting to decode his lies. He wondered if his heartbeat, which sounded like a sledgehammer in his ears, was audible to her, right through his chest. He didn’t like the way she said that, and he was certain that she suspected what he’d done. Or was it merely his own guilt, in an effort to prod him into returning her ring? Whatever it was, he stood his ground. When she finally left, he let out a deep breath. Now he just wished the next couple of hours would fly by and his shift be over. Then he could get out of here and drive the ninety miles to Tammie’s place, knock on her door, and surprise her. He picked up the folder on the tabletop and let out a snort. He’d had it coming, he supposed. She hadn’t left him a tip. NPR was beginning to annoy him. He needed something soothing, comforting. Turning the dial, he settled on a station playing a piano rendition of “Away in a Manger.” Perfect. Just the sort of melody he was looking for. He hummed along with the mellow music, trying to forget about the nagging in his head, the doubts that wouldn’t go away. He could still turn back, call the woman on her cell, tell her he had the ring . . .
“Can it,” he said, and forced himself to concentrate on the song. An SUV passed him on the left, and by instinct, he checked his rearview mirror, to see if anyone else might be close behind. 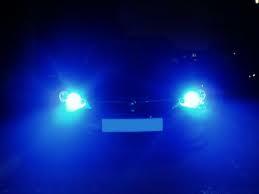 Blue, high-beam headlights glared at him, blinding him temporarily. He turned away from the mirror, rubbed his eyes, and picked up speed. How had that pest caught up with him again? No one had been there a second ago. “Who cares?” he said. He’d leave the jerk in the dust again, just like the last time. He sped up to eighty, but the car behind him did not fade back. It stuck to him like a stubborn cold. He slowed down, sped up again. Still he couldn’t shake the tailgater. That’s when he wondered. Was the person following him the woman from the restaurant? Or a boyfriend of hers? Could that be? Don’t be an idiot. She doesn’t even know what car I drive. Yeah, but she might have waited outside and followed you when your shift ended. Shut up. Why would she do that? To run you off the road, maybe? Get her ring back? He violently shook his head, and snapped off the radio, as if that might also turn down the volume in his mind. The Christmas music, calming at first, had turned grating, incongruous. He floored it, reaching a hundred miles an hour. Still, the lights remained just behind him. The woman, or guy, or whoever it was, would not let him get away. Suddenly, he spotted a white Neon directly in his path. He’d been so focused on losing his pursuer that he hadn’t been paying attention to what lay ahead. Swerving, slamming on the break, he jerked the car into the passing lane. The driver of the Neon beeped the horn at him and he could see her gesture angrily even in the dark. He passed the Neon, then glanced in his mirror again, hoping nothing would be there. No such luck. The blue headlights still tailed him. He swung back in to the slow lane, then, just as abruptly, changed lanes again, into the passing lane. He continued to do this—back and forth, back and forth. Finally, he checked his mirror again, hoping the nutcase behind him had had enough. “Well, whaddaya know,” he said, and a smile crossed his lips. He checked his reflection, and an odd glint was in his eyes now. The thrill of the chase, he guessed. It had made him euphoric, half-crazed, even. The headlights were gone. Not simply further back. But gone. Odd. Why would that be? From inside his breast pocket, there was a piercing chirp. His cell. Someone was texting him. Was it the woman? Dropping the game and demanding her ring back? Don’t be stupid. She didn’t know his number. He hadn’t given it to her. He took the phone out, his eyes on the road. He had it mostly to himself. He passed a pickup truck. No one else was ahead of him, as far as he could see. Checking the mirror, there was still no sign of the blue headlights anywhere. In the distance, another hulking grain silo brooded over the frost-strewn earth. He glanced at his cell, read the message. Hey, where r u? Tried calling ur place but no answer. Thought u’d b home by now. R u ok? It was Tammie. He didn’t want to tell her he was on his way to see her. But he knew he needed to respond immediately, or else she might worry. Ahead, he spotted a sign. The next travel plaza was coming up in two miles. Good. He could pull in, text her, then be on his way again. With the cell in his hand, he again considered calling the woman from the restaurant. He hadn’t yet crossed a point of no return. And, he realized, with each mile he drove, the closer he came to Tammie’s exit, the more uneasy he felt. He still had an out, a chance to set things right. Once he saw Tammie, once he gave her the ring and kissed her, there was no way he could then take it back from her. If he was going to reconsider, it would have to be soon. Time was running out. He’d think about it more when he stopped at the travel plaza. In his rearview mirror, there was a sudden flash of blue light. But it was. His pursuer was back. He forced himself to look in the mirror again, trying to ignore the burst of light and get a good look at the driver. But the beams were too bright—they made him think of that light the optometrist shone in his eyes during examinations, so strong that tears cascaded down his cheeks and little black dots floated in the field of his vision for minutes afterward—and the vehicle’s windshield was dark. For all he knew, the car was driving itself. But at least he could pull into the travel plaza this time. And if the tailgater followed him, he’d confront the jerk once and for all. He signaled, slowed down, turned onto the entrance ramp, and coasted into the plaza’s parking lot. 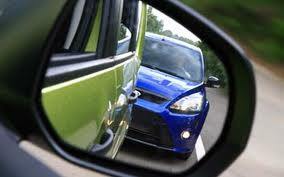 When he checked his mirror, he fully expected to see his nemesis right behind him. But there was nothing. For the second time, the car seemed to have vanished, as though it hadn’t been there to begin with. He parked his car, turned off the engine. Then he looked at his reflection again. “Hey, you’re okay, aren’t you, Paul?” he said. “All the circuits are fully juiced, screws tight, nothing floating loose up in there. Right?” He took several deep, calming breaths, trying to rid his mind of tension. But it was no good. He was way too edgy, his nerve endings like live wires. He texted a quick reply to Tammie, telling her he was fine, just out Christmas shopping. He figured he’d go out after his shift, late, and avoid the crowds. He hated to lie, but how could he tell her the truth?. Call her. Call that woman and tell her you have her ring. No. He wouldn’t do that. He got out of the car, inhaled deeply, and scanned the lot for the tailgater. A half-dozen other vehicles were scattered about—any one of them might belong to the guy who’d been tormenting him. He didn’t even know what his car looked like—only that it had two exceptionally bright high-beam blue halogen headlights. “Just forget about it,” he muttered, and strode toward the travel plaza building. He hadn’t eaten a thing since lunchtime, and the place had a McDonald’s inside. But as soon as he passed through the doorway, he realized that he couldn’t just forget about it. He didn’t know for sure if his tailgater had followed him into the parking lot, but he highly suspected it. What had seemed like a mystery, an improbability, seconds ago now made perfect sense. The guy had switched off his headlights as soon as he turned on to the entrance ramp. Why? To give the illusion that he’d vanished. And then, as quick as a subconscious thought, he must have driven to a remote corner of the lot—before Paul could see him. Yes. That was it. He was sure of it. But couldn’t he have just continued on the Thruway, and not pulled in here with me? “No.” Paul didn’t believe that. Somehow he knew, intuitively, that he was still being followed. He placed his hand on his forehead. He could feel the beginning of a nasty headache coming on. He walked passed an artificial Christmas tree, bedecked with tinsel and cheap-looking gold and silver bulbs. Above the tree, a placard hung from the ceiling, with the words “Happy Holidays” written in a bold, bright red. He looked around. Three of the plaza’s restaurants were closed for the evening. Only the McDonald’s was open. A couple of customers were sitting in booths, enjoying a late-night meal. Other than that, the place was deserted, save for an old man who was occupied inspecting a scale just outside the men’s room. This struck him as suspicious. Wouldn’t that be just what his pursuer might do? Pretend to be absorbed in some innocuous contraption but in reality, out of the corner of his eye, watching Paul? Monitoring him? Sizing him up? He ordered a double cheeseburger and a large fries, and sat at one of the booths, by the window, looking through the glass and at himself. His shadowy reflection glared back at him, frazzled, shaken up. He took a bite of the burger—but, though he was hungry, it didn’t go down easily. His throat seemed to constrict. C’mon. Relax. What’s your problem? Other than stealing an expensive ring? Being tailgated by a maniac? Stalked by a person who could very well be dangerous? Sure. What could possibly be wrong? He glanced at the two other McDonald’s patrons. There was a middle-aged blonde woman seated three booths down. She was sipping a medium-sized soft drink and picking at a chicken salad. She looked tired, frumpy. Her hair was stringy, and she wore a pair of wire-frame glasses that continually fell down her nose. She would push them up, then they’d fall right back down again. As she played with her food, pushing it around with her black plastic fork more than actually eating it, she muttered to herself. Her eyes were droopy, as if she had been on the road all day. The other customer was a fiftyish guy in a long gray coat. He sat on the other side of the restaurant, but he was in clear view and Paul was able to get a good look at him. He was eating what appeared to be a filet-o-fish sandwich along with two large orders of fries, and he must have been hungry, because he was wolfing the food down. He was burly, with salt-and-pepper hair and a long, hawklike nose. As he ate, his shoulders would rise and fall, rise and fall—like a nervous twitch. Was he the rich woman’s boyfriend, perhaps? Paul doubted it Too old. And too ugly. But how could he be sure? You never could tell who a person might fall for. He took another bite of his cheeseburger, and this time he nearly spewed it back up. “This is impossible,” he said, getting up. He tossed his food in the waste bin. Money down the drain, but he couldn’t eat. As far as he could tell, neither the blonde woman nor the guy with the nervous shoulders had even glanced his way. And yet, he couldn’t shake the feeling that he was being watched. He walked out of the McDonald’s, past the tacky artificial tree. He noticed the old man, still standing by the entrance to the men’s room, studying the scale. He shook his head, picked up his pace, and bolted through the doors. He needed to get out of this place, see Tammie. Give her the ring. Walking to his car, he felt exposed. The tailgater could pick him off so easily out here—maybe turn on those blue headlights, shine them in his eyes, and race toward him, slamming into him before he could dodge out of the way. He began to run. If anyone saw him, they would think he’d lost his mind. But he didn’t care. He needed to reach the security of his car, before it was too late. When he got there, ducked in, slammed and locked the door, he let out a long, tortured breath. He started the engine, looked around the lot—still nothing out of the ordinary—and drove off. When he passed the front of the travel plaza, he saw one of the customers coming out. The big guy, with the beak nose! So he was the one! He pressed down hard on the gas. If he got on the highway ahead of him, maybe he could pull far enough away and lose him. The exit ramp was straight ahead now, and he continued to accelerate, passing an island of self-serve gas pumps charging exorbitant fuel prices. Still no one behind him. He took a quick, cursory glance in his rearview mirror, sure that nothing would be there except the glow of the travel plaza’s lights, the pumps, and the black emptiness of the December night. A blinding explosion of blue beams made him close his eyes and slam on the brake. He pulled over to the side, hoping his pursuer would take the hint and zoom past, onto the interstate, out of his life forever. But the vehicle just slipped in behind him, the blue halogen lights still shining in at him like an accusation. That’s when Paul understood. There was no escape from this madman. He was like a killer in a grade-B horror movie. Always one step ahead of his prey. Always right there behind you, no matter what you did. He was through running. He couldn’t do it anymore. The confrontation could not be avoided any longer. That guy is huge. He’d probably break you in half. Probably has a gun, too. He sighed. He didn’t know for sure that the driver behind him was the guy in the gray coat, the ugly man who looked like he’d been an NFL linebacker, or a heavyweight boxer, in his prime. But he hadn’t seen anyone pass him on the exit ramp, either. That doesn’t mean he’s the one behind you now. Maybe he’s still in his car back in the parking lot. Listening to the radio. Making a call. “Just give it up,” he said. He was through speculating. It was time to get out of the car, and see what the guy wanted. He wants the ring. You know that. Yes, he did. He was sure of it. Reaching into his jacket pocket, he pulled out the napkin on which the woman at the restaurant had scrawled her cell number. The guy behind him was likely dangerous, maniacal. He had shown that already, tailgating and harassing Paul the way he had. What if he killed him? Simply shot him or strangled him, then deposited his body in the frigid waters of the lake? He had an urge to speed away then. He didn’t want this, didn’t want to face this unknown danger on some exit ramp in the middle of nowhere surrounded by nothing but old farmhouses and dead fields and cold, hard blacktop. But where would that get him? To the next travel plaza? 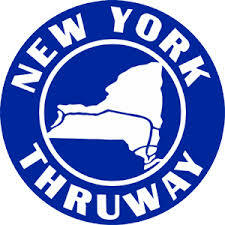 The exit booths, taking him off the Thruway? What good would that do? His adversary would be right there behind him, ready to strike. It would merely serve to postpone the inevitable. He looked at the number on the napkin again. His tailgater’s headlights, reflecting off the rearview mirror, bathed the napkin in a blue, alien-like glow. The guy still hadn’t turned off his engine, or gotten out of the car. He just idled there, waiting, waiting. Closing his eyes, he visualized Tammie. He pictured the ring on her finger, how beautiful it would look, how right. But thinking of that only made things worse. He picked up his cell phone. “It’s your lucky night, lady,” he said to the interior of his car, and then dialed her number. One ring. Two. Three. Four. He thought maybe she wouldn’t answer, that he’d get her recording. It was late, after all. Should he leave a message? Or call back later? Would there even be a later, after he’d dealt with his unrelenting pursuer? But on the fifth ring, she answered. He wondered if she was still wearing her expensive jacket, or if she’d since returned home and had changed into something more casual. He introduced himself, told her he’d found her ring. Would she like to come by the restaurant to pick it up tomorrow morning, or should he drive to her place tonight and give it back to her? Morbidly, he thought, Or maybe you could find the guy who’s behind me now after he kills me, and get it from him. He swallowed. Yeah. Real awesome. All I tried to do was rip you off tonight. “I’ll pick it up tomorrow morning,” she said. “I suppose I can trust you with it for one night, right?” She laughed. “Right,” he said, and laughed back. Or tried to. He doubted it sounded sincere. She said bye, and hung up. He rubbed his eyes. It felt like a tremendous weight had been lifted from him. The albatross was gone. But now the real trouble was at hand. He turned off the engine, and, without hesitation, got out of the car. It was better to get this over with quickly. There was nobody there. No car idling with blue high-beam lights glaring at him. No hulking man in a gray coat with a long, twisted nose and murder in his eyes. Nothing. He walked to the rear of his car, and even peeked underneath, as if the vehicle that had been trailing him had somehow become miniaturized and was now attached to his undercarriage. Was it possible that his tailgater had grown weary of the chase and had driven off while he was on the phone? No. He was sure no one had passed him. He didn’t know, and was too tired to think about it. He just knew he felt like himself again. That’s all that really mattered. He felt for the ring in his pocket. It was there, safe and secure. He smiled. Maybe the woman would give him a belated tip when she saw him in the morning.